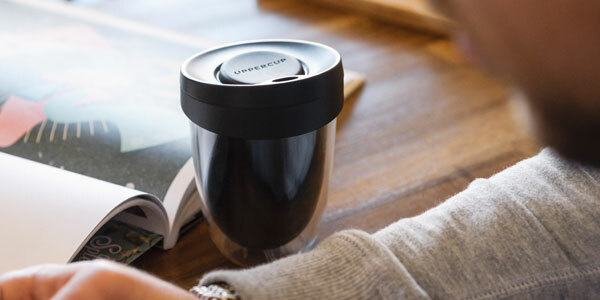 'Uppercup' - a sustainable, reusable takeaway coffee cup designed by Charlwood Design has just been launched on the crowdfunding site pozible. The unique, double wall tumbler is made of Tritan plastic and is ultrasonically welded. The result is a BPA free design that not only insulates the cup but also doesn’t absorb odours and flavours and is fully recyclable. The sturdy plastic construction ensures it is not fragile like ceramic or glass. The unique rotating lid can be turned to reveal a tilt-up spout and then resealed flat to prevent splashes. The PP and LDPE parts separate for easy cleaning and recycling at the end of life. Designed and manufactured in Melbourne Australia the cup is available in white/black in two sizes - 8oz and 12oz. The campaign ends on 19th September 2013 so get your pledges in to be the first to receive one.